One man’s junk is another man’s treasure. By focusing on cleaning up the way trash is taken out, we believe that we can help save the environment in both small and big ways. Additionally, we hope to bring people together by cutting maintenance time of small yet large tasks to focus on what truly matters in life. 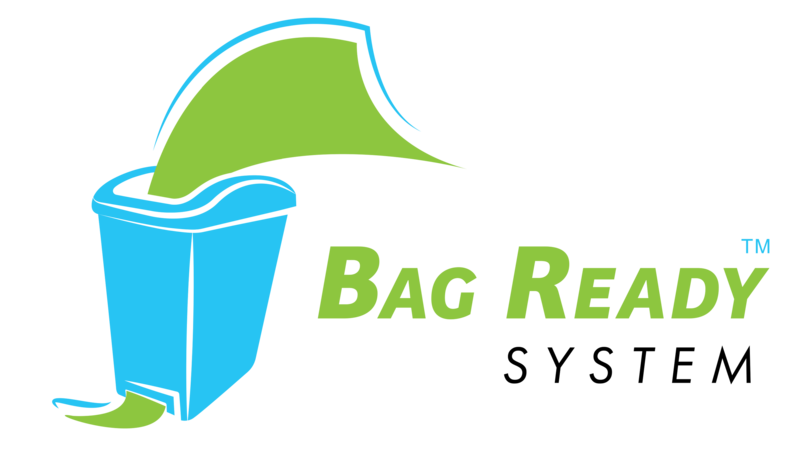 Together, we can help the Bag-Ready System (BRS) bins find a home in every house, condo, apartment, business, school, hospital, and hotel in the world. How is the Bag-Ready System Eco-Friendly? We believe that the fewer bags you buy, the better it is for the environment. With the Bag-Ready System, we ensure that you will not have to buy trash bags nearly as much as using other trash bins. In fact, we will streamline a steady supply of bags straight to your door when you need it, helping you maximize the bags that are preloaded in the Bag-Ready System leak-proof tray below. How is the Bag-Ready System more sanitary than other trash bins? Oftentimes, when you are replacing an overstuffed trash bag, particles of trash, dust, and dirt can drop down to the lower chambers of the trash bin, resulting in unnecessary stench, rot, growth of bacteria, and even risk of airborne disease. However, at the bottom of the BRS is a capsule that collects all of these particles into the bag, ensuring sanitation. How will the Bag-Ready System help me save time and money? By using the BRS, households and businesses are guaranteed to save not only the cost of buying extra bags, but the cost of time management as well. Over the years, this will save your business hundreds of thousands of dollars. It’s simple! Using the Bag-Ready System is like using a large Kleenex box; when one tissue comes out, another one is pulled up along with it, and a compartment full of new tissues are ready to go underneath. How often should I refill my Bag-Ready System? Not to fear – it’s in the name!!! The BRS comes preloaded with 90 trash bags, which means less refill time for you. This steady supply will last you anywhere between 3 – 6 months to a year depending how often you change your bag. Just imagine if each and every room in your house is equipped with the BRS bins how much time will you save? How can I order my bags? You’re in the right place By using our website, all you have to do is put in your order, and we’ll ship it right to you. Will there ever be a larger size of Bag-Ready System bins? We would be thrilled to create a larger version of the Bag-Ready System bin in the near future. With the help of backers like you, we would love to make this a reality soon. But as the saying goes, we will walk before we can run. How do you calculate the amount of bags that come with each unit will last around six months? Each Bag-Ready bin comes with 3 roll of bags, with 30 bags for each roll. This equals a total of 90 bags per unit. Based on an approximate of six months supply estimate (about 180 days), on average you would need to take out the trash every other day (180 days / 90 bags = 2 days). We feel this is a fair estimate since some create more trash than others. Think about the last time you took out the trash and you will come to realize that you don’t take out the trash as much as you think. Who created the Bag-Ready System? The Bag-Ready System was created by International best selling Inventor, Entrepreneur, Business Consultant, and Philanthropist. Michael is a versatile product developer, marketing and promotions expert who enjoys tackling complicated situations with strategic solutions that deliver immediate results and long-term gains. Michael’s experience as an innovator and entrepreneur spans two decades, founding a handful of startups himself, and directly influencing the creation of more than 10 other companies. Michael is a frequent guest on television and radio programs and frequently sought out speaker to discuss innovation, small business, and patent reform. As a leader within his community, Michael was one of only three invited guest speakers to share the stage with Dr. Arthur Fry, scientist and inventor of Post-It-Notes, at the 15th Annual Independent Inventor Conference, hosted at the headquarters of the United States Patent & Trademark Office. Michael’s involvement and insight were influential in the passing of the America Invents Act; he was also awarded a personal invitation from President Obama to attend the signing of the Act (which went into effect on September 16, 2011). The Emery Cat Board®, Michael’s flagship invention, debuted on the second season of the Emmy and Telly Award Winning Reality TV show Everyday Edison on PBS with over 16,000 entries were received, each hoping to be one of the 12 coveted winners, each winner having a shot at further development including an investment upward of $500,000. Emery Cat Board became one of the best-selling ASOTV infomercial products, selling in several countries including thousands of retail stores: Bed Bath & Beyond, CVS, Target, Walgreens, Walmart, and many major catalog companies. Additionally, Michael’s Emery Cat scores licensing deal with Petstages for international distribution including Petco, and Petsmart stores. Michael was recently named as The Top 8 Immigrant Inventors in America alongside with Alexander Graham Bell, Levi Strauss, Nikola Tesla, Albert Einstein, and John Roebling, who invented a wire-twisting machine that make steel cables to build suspension bridges. Now more than ever he couldn’t be more excited to put the same energy and passion to work by releasing his latest and newest invention called Bag-Ready System to the world. With Bag-Ready System let the only thing you are throwing away be the ACTUAL garbage!! !